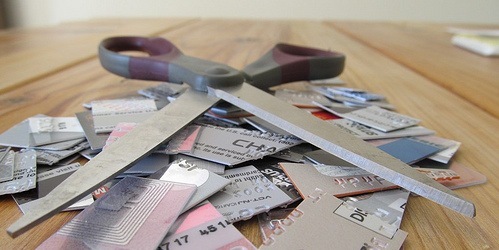 Warning: Credit Card Surcharges Start Sunday! Beginning January 27, merchants in the United States (and U.S. Territories) will be permitted to charge so-called “payment card surcharges” or “checkout fees” when customers use credit cards to purchase everyday items. This is a HUGE deal because prior to a class action settlement reached last July with merchants, such practices were deemed illegal, even though you may have come across select merchants that charged the fees anyway. Now, thanks to Visa and MasterCard ruffling the feathers of merchants with costly interchange fees, the buck might be passed on to consumers. Come Sunday, if a retailer decides to impose the fee, they can do so, though there are some limitations. First off, merchants need to make very clear that they charge fees for credit card use. In order to satisfy such requirements, they must post disclosures (signs) at store entry points (or websites) and at point-of-sale locations. 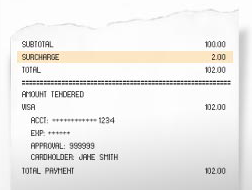 Additionally, the surcharge amount must be on every receipt (offline and online), so customers know how much they were charged for using a credit card. The fee cannot exceed 4% of the underlying transaction. Moreover, the surcharge cannot exceed the cost of credit card acceptance. In other words, they can’t profit directly off this rule. And a merchant will only be able to charge the fee if they have the capability of doing so for all types of credit cards. Otherwise they could technically incentivize the use of say an American Express or Discover credit card instead. Visa and MasterCard would likely frown upon that. 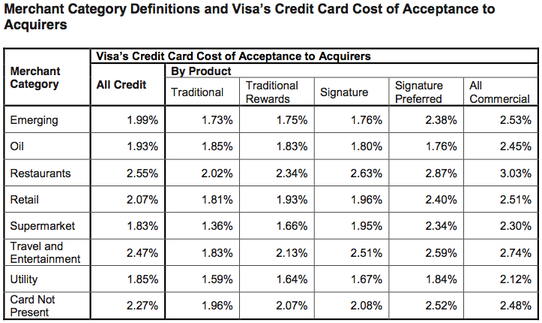 However, merchants have the ability to apply the surcharge at the “product level” of certain Visa or MasterCard credit cards, such as Visa Traditional, Visa Traditional Rewards, or Visa Signature. So the fee could vary based on the type of credit card you have, though that remains to be seen. While this is big, big news, it’s not applicable to residents in all 50 states. Additionally, merchants cannot charge the fee to those who pay with debit cards or prepaid credit cards. That includes those who use a debit card and select “credit” on the point of sale terminal. Note: Merchants are currently allowed to offer discounts to consumers who DO NOT use credit cards in places like California. Will Merchants Charge the Fees? You also have to wonder if merchants will actually impose the credit card surcharges. It sounds like a lot of work to implement. And it’s certainly not a great way to drum up business, seeing that most consumers use credit cards nowadays. Additionally, as I’ve noted time and time again, the cost of credit card use is ALREADY factored into the final price of the goods and services we buy. So this would essentially result in a double-charge for those opting to use credit, which makes you wonder if this is the death of the credit card. It may also propel the popularity of prepaid credit cards, such as the recently launched Bluebird from American Express. Read more: Credit cards vs. paying with cash. Haha…so true. I haven’t seen or heard of any surcharging customers. Doesn’t sound like a good way to drum up business. Easier just to charge a tiny bit more per product and build it in without any noticing. I haven’t come across any merchant that imposes surcharges for credit card transactions. But my guess is that it’s being tested in smaller markets for a possible full scale rollout at some point in the future.